US soaps All My Children, One Life to Live will relive. After a lengthy “will they / won’t they?” period and union negotiations, US producers have now confirmed that axed daytime soaps All My Children and One Life to Live are set to be revived as online content. Prospect Park has secured deals with SAG-AFTRA and the DGA. “We thank the loyal audience and new generation of fans of both shows who have demonstrated that passion and exciting story lines are not just reserved for traditional television,” Jeff Kwatinetz and Rich Frank announced in a joint statement. The soaps were axed in 2011 after some 40 years on the air. Immediate plans to revive them as online content fell through, but now they will begin production in February. 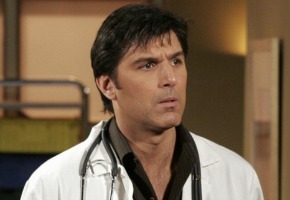 Vincent Irizarry (pictured), who played Dr. David Hayward on All My Children from 1997 until 2011, recently announcing plans to return to the online revival. Why’d you have to bring Passions up? I loved that insane soap. Miss it to this day. Yeah…yeah….yeah…..Won’t last a year….that other soap Passions tried that afew years back….wasn’t financially viable…got the final swing of the ax shortly afterward…. I’d be surprised if they last the year. Surely if there was any real audience out there wanting them they could have gone into the lucrative daytime syndication market and sold them directly to local stations.